Visit Jeff Duncan-Andrade’s office in San Francisco State University’s Ethnic Studies & Psychology Building and you’ll see boxes filled with plaques and statues — honors he has accrued over a 25-year career in education. But the San Francisco State associate professor of Latina/Latino studies says accumulating kudos has never been his goal. Despite that lack of interest in racking up acclaim, Duncan-Andrade just received more: He was named the 2019 Brock International Prize in Education Laureate. The award is bestowed annually on an innovative educator chosen from an international field of nominees. Duncan-Andrade was officially presented with the honor last week at a symposium in Tulsa, Oklahoma. 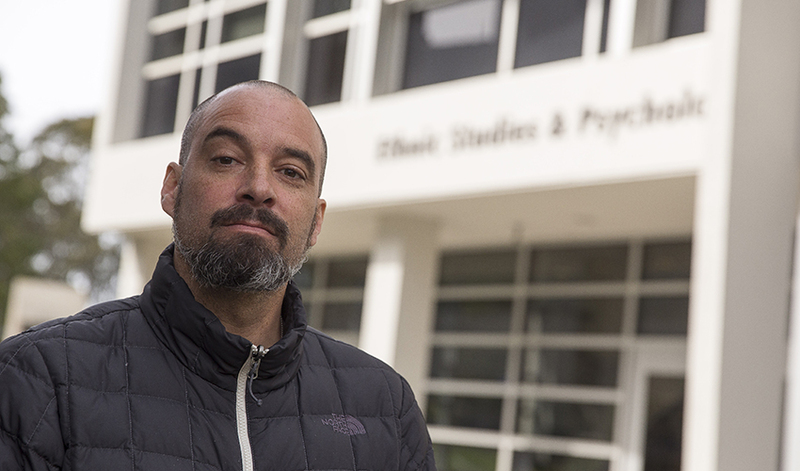 A co-founder of the Roses in Concrete Community School, a lab school in Oakland that provides an alternative model for urban education, Duncan-Andrade is also a faculty member in SF State’s Race and Resistance Studies department. And through the Community Responsive Education Group, which he co-founded, he works directly with schools around the world to improve education for underprivileged and at-risk students. Originally from Los Angeles, Duncan-Andrade first nourished his love for teaching as a youth sports coach. After graduating with a major in literature from the University of California, Berkeley, in 1992 he became a middle school and high school teacher in Oakland. After enrolling in and graduating from the UC Berkeley Graduate School of Education, he joined SF State as a faculty member in 2004 and later resurrected the University’s Step to College Program, a collaboration with local high schools that promotes higher education for underrepresented minorities and low-income students today. Today, Duncan-Andrade spends much of his time traveling to schools around the country on behalf of the Community Responsive Education Group, sharing his experiences as a teacher and community member as well as his deep understanding of educational research.